The YT Mob’s youngest rider backed up his top 10 from Mont-Sainte-Anne with yet another strong performance in his first ever wet World Cup final. 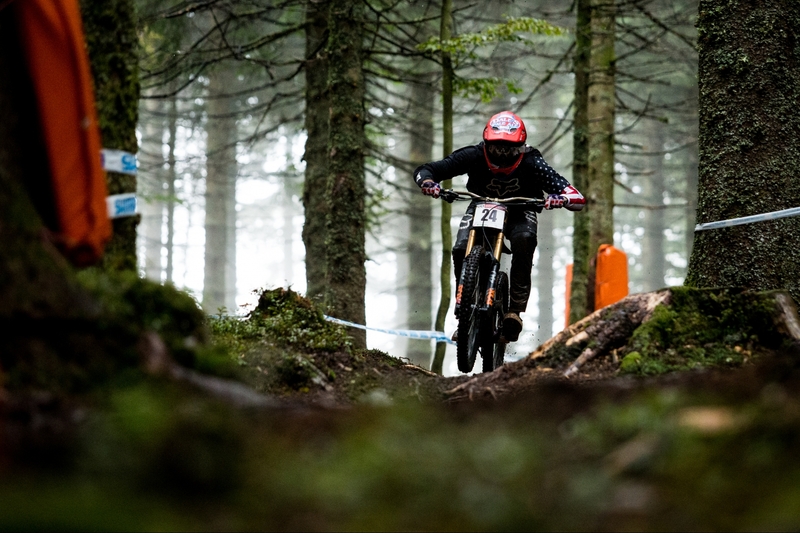 The tricky conditions on a rainy Saturday in the Vosges Mountains caught out team mate Aaron Gwin who less than 30secs into his run went down briefly, but continued on to finished 43rd. Fellow American Neko Mulally was less fortunate crashing out in training earlier today and breaking his right hand, and will fly home on Monday for surgery. All 3 riders showed great pace in timed training posting times in the top 15, and then in qualifying it was Neko who lead the trio finishing 10th, to Aaron’s 11th, and Angel in a conservative 47th. Come race day and the heavens opened up for the training session and Neko Mulally was out there pushing hard knowing the track and conditions both suited him. Unfortunately a small mistake had him over the handlebars and landing his body on his hand. The break is clean and won’t keep him off the bike for long, but his international season is done for 2018. Aaron, racing a prototype YT TUES 29er for the first time, was feeling good on the new bike and was hoping for a good result on top of building on the riding experience with the larger wheels. A small obstacle on track caught him out in the first sector and the intervals didn’t come back from that point, then a spectacular scrub further done the course had the fans and media drawing their breath; it was pretty special. Meanwhile, Angel Suarez had already put in a great run that landed him in the hotseat and kept him in the top 10 until the last 4 riders. Admitting a couple of errors which are expected in these conditions, the Spaniard scored his 3rd best World Cup career result, here in France. It was a hard and challenging week because it’s been raining a lot these last two days and that made the course really hard to ride and slippery, which is how I like it. After a good final practice session on race day I felt that I got a good run in for the final, but I did a lot of mistakes which is normal for how challenging the track was, but one of them cost me some good seconds. I still got a good result so I’m very happy to get 14th and to once again be close to the top guys. I feel very sorry for my brother Neko but I know he will be back strong as always for next year! 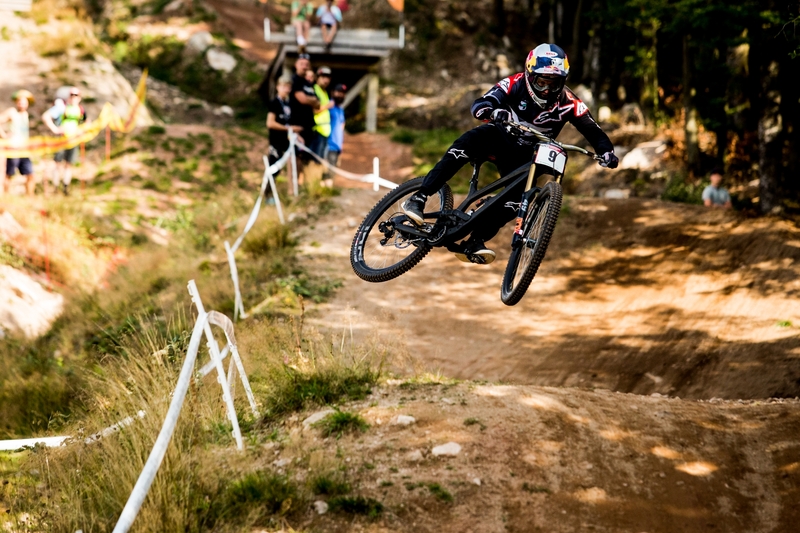 Aaron and Angel now go into a training camp here in France preparing for the World Championships which commence on September 3 in Lenzerheide, Switzerland, with finals day on Sunday September 9.